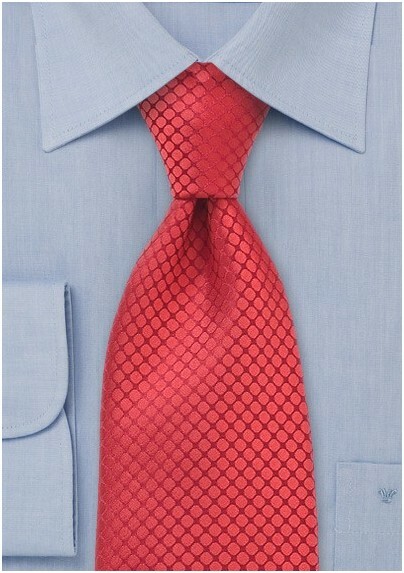 Reinvigorate your wardrobe with this textured tie in vibrant red. The pattern is expertly handwoven into the silk giving it an ideal weight and texture. Pair this unique tie with a white dress, a well tailored dark grey suit and black lace ups. 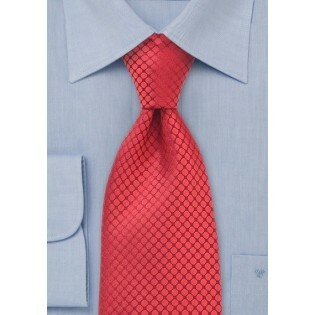 This tie is also a fashion forward accessory for formal attire and pairs well with a black tuxedo.